Our kitchen designing process is managed by skilled professionals from the moment you call us until the end of the project. 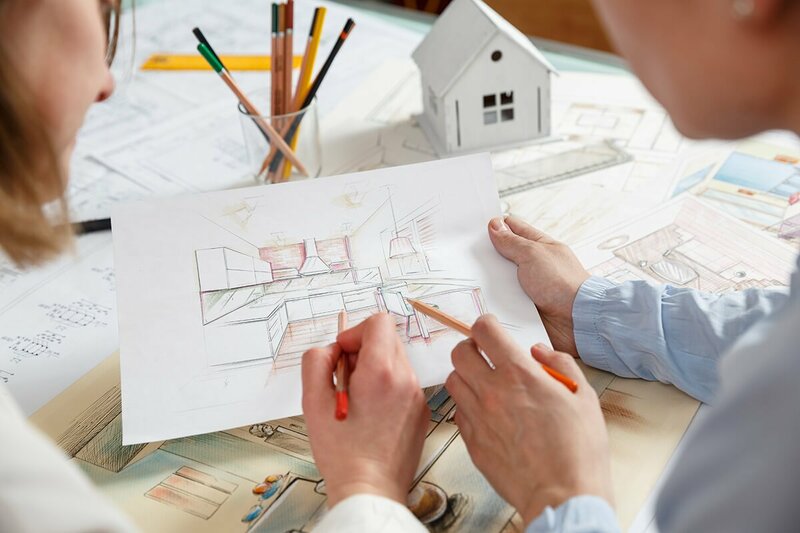 We will assist you at every step of the designing process. First of all, we will come to your place to talk about your expectations, take measurements, and analyze necessary settings. Next, we will plan your kitchen layout including where each cupboard and appliance will be placed. You will choose the best cabinets and appliances based on your personal tastes and overall needs. We can design various layouts so that you will be able to choose the one that is best fitting for you. We will help you choose the perfect finishes such as cupboards, flooring, lighting, and other accessories for a modern kitchen that will fit your budget. To ensure top-notch quality and complete satisfaction, we utilize only the best products in our kitchen renovations. We have a wide range of supplies for multiple styles of kitchens, ranging from modern to traditional. You just need to imagine what you want and we will make it happen. At our showroom, we have access to a large collection of kitchen cabinets from the most reliable manufacturers and brands. We have cabinets in multiple styles, materials, and finishes. 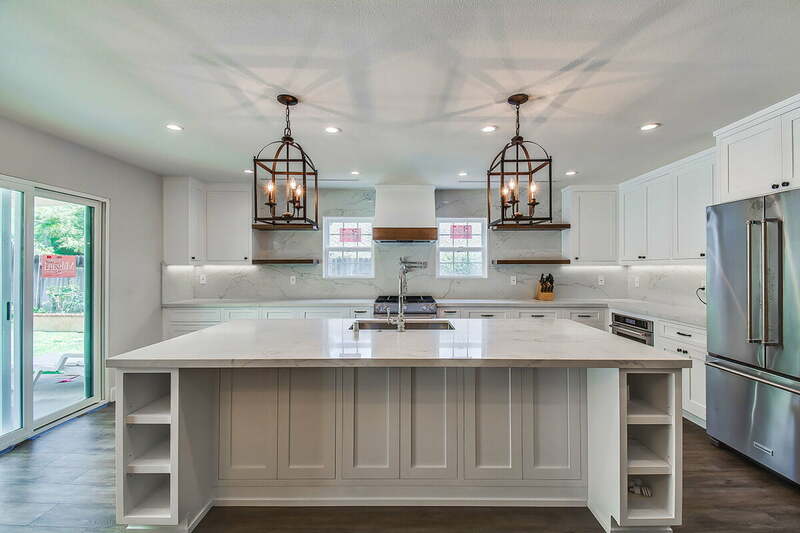 Also, we offer numerous choices in countertops including granite, natural stones, Sile Stone, solid surface, wood, glass, concrete, and many more. Moreover, we offer different options for tiles, appliances, and other furnishings to give you exactly what you want. Our professionals strive for precision. Our priority at Goldenline Construction is to give you the kitchen you have always desire for. If you want to turn your tiresome kitchen into a chef’s dream with modern cabinets, contemporary layout and top-notch appliances, contact us!